Ready to improve home comfort & indoor air quality? 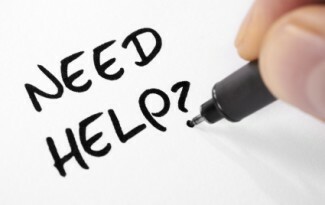 Encapsulating your crawl space can help. Vented or open crawl spaces are very common in the Atlanta area because they are inexpensive to build and functional in terms of providing a foundation for flooring as well as a convenient space to install plumbing, electrical and duct work for the HVAC systems. Typically fiberglass batt insulation is installed in the ceiling of the crawl space when the home is new. Overtime, gravity, pest and excessive humidity causes the insulation to pull away and fall to the floor. A vented crawl space allows outside air in through the vents into the crawl space where it is sucked into your home via your heating and cooling system or other holes and/or cracks left behind by the builder. This “stack effect”, pulls the contaminates (dust, moisture, odors, mold, etc…) from the crawl space and distributes it throughout your entire house. At Arbor Insulation Solutions, we agree with the building science experts, create a well-sealed, unventilated crawlspace or “closed crawl space” by sealing and insulating the foundation walls and crawl space floors rather than insulating the sub-floor with ineffective fiberglass batts. This is referred to as an encapsulated crawl space. 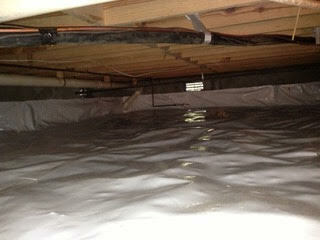 By encapsulating your crawl space it now becomes a clean and healthy part of your house or building envelope. Healthier – By creating a dry, clean space, it reduces the odors and allergens which improves the air quality in your living space. Improve Comfort – Your floors will be warmer and less drafty in the winter time and your home will be less humid in the summer. Improve Energy Efficiency – Your HVAC system will operate more efficiently and less often with an encapsulated crawl space. Reduced Stack Effect – An encapsulated crawl space will reduce the drafts in your home. Reduce Bugs & critters – with even temperature, moisture and protective shelter, a dirt crawl space is a great place for bugs to live, thrive and reproduce. Spiders, beetles, centipedes, termites, roaches, and even mice, rats and snakes have been found in crawl spaces. Reduce Condensation – high humidity levels and the relatively low temperature in a dirt crawl space causes surfaces such as plastic, wood, concrete, and metal to sweat. This sweating causes rot and odor and provides water for bugs. Our vapor barrier system will keep the outside air out, and your home cleaner. Eliminate Mold & structural damage – mold spores need organic material, the right temperature range, and moisture in order to grow. Dirt crawl spaces with high humidity levels provide an ideal environment for mold to grow that can damage the wood structure of your home and your carpets. The airborne spores can travel throughout your home causing health issues. Installing our crawl space vapor barrier system helps to prevent the moisture that causes mold. Vapor Barriers keep out water, moisture & reduce relative humidity. Our specially designed drainage pipe & matting drain floor & walls. Keeps excess crawl space moisture out & creates a healthier home environment. Dow Thermax or Closed Cell Spray foam insulation are designed for crawl spaces. Eliminate high humidity levels in your crawlspace. Specially designed for a crawl space, airtight with a built in alarm and drain.